Using red in interior decorations is suitable for interiors where you want to express a passionate view about life. 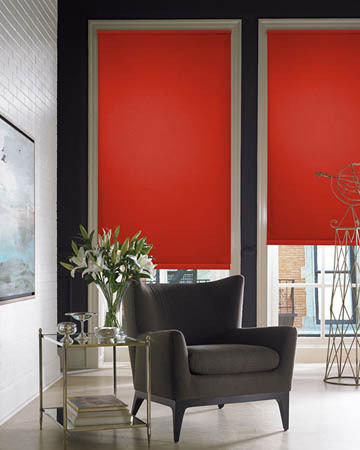 As they have a strong colour, red blinds can be used as accents in your room, to give it a fresh new look. 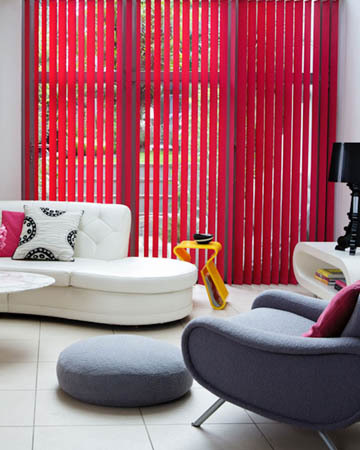 A great attention is given to the finishing touches when manufacturing the vertical blinds you can find on our website making them the perfect accent for your room as their red colour will certainly draw attention on them. Whether you prefer fabric or aluminum vertical blinds you will find interesting offers available on-line. 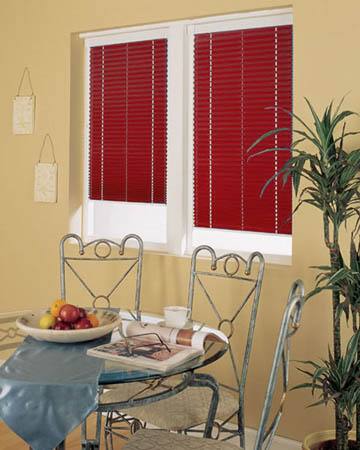 The red venetian blinds you can find on-line are easy to integrate into any interior as they have a coherent, flowing design. Suitable for both houses and office spaces, they come with cord operation and you can choose the position of the controls according to your needs. As you can choose one of the ready made sizes or you can have the red roller blinds made to measure you are sure to get the best results when covering your windows. You can place them inside or outside the recess and you can use these window treatments to cover windows as well as patio doors as they are very fashionable and functional at the same time. The special texture of the red shades you can find in our on-line offer will help you give your room a fiery glow and decorate your interiors at the same time. 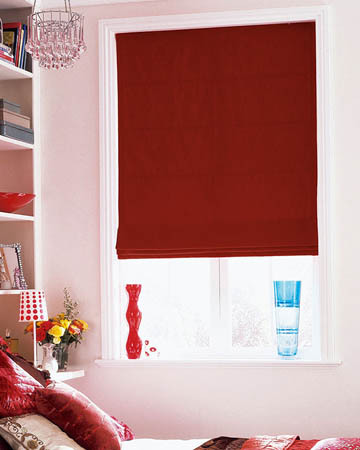 Red roman blinds are sure to provide your rooms with a stylish look as their special appearance will surely catch the eye of anyone who enters your home. With optional stiffening rods to give them a great look, these roman window blinds are the right choice for you.